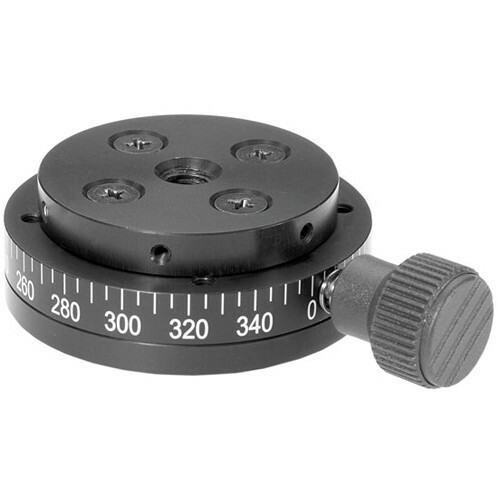 Provides 360 degree calibrated panning at base of Mini Superball. Box Dimensions (LxWxH) 5.4 x 3.3 x 1.0"
is there a screw hole on the underside to allow the base to be screwed both to the tripod and the camera? There is a mount for both the tripod and the ball head you plan to use.